It’s always great to know that you have a passive income on the side that doesn’t need much effort or a huge investment. Here you will find Top Paying Affiliate Programs that in my opinion are awesome to make extra money online. You can implement these affiliate links into your blog or Pinterest profile. Did you know that selling on Pinterest is very lucrative and it helps you to make quick money online? I’m sure you’re familiar with Pinterest website, otherwise you wouldn’t read this article. How many times you saved a pin for your favorite recipe or new travel tips? Every time when you click on the Pinterest images and land on the website where you can purchase something the owner of the pin makes money online. Pinterest Affiliate Marketing gives the opportunity to earn money online even if you don’t have a blog or special social media skills. What is Affiliate Marketing & Affiliate Program? Affiliate meaning is simple, you are getting paid by a company to promote or recommend their products or services. Brands have realized the value of personal recommendations over basic paid advertising to reach for more customers. Some merchants do require a blog in order to be approved for their affiliate programs and affiliate links, nevertheless there are many that don’t. (Anyhow you can check my course how to start a blog within 1-2 hours with the secret link for the lowest but very reliable domain price, just 1$ a month!). By applying for these merchants, you can promote their products simply by creating beautiful pins and adding them to your Pinterest profile. Furthermore you earn money per sale it means when someone clicks on the pin and makes a purchase. Converted my Pinterest profile into a Pinterest business account. It’s free and super fast. Afterwards you will be able to access your analytics so you can see the information about your audience and their preferences. Used SEO especially in the username & bio. Board titles are also very important, they need to be simple and easily understandable. Just think what do you type in the Pinterest search box when you’re looking for something. And of course each board needs to have a good SEO description in full sentences with keywords. Choose a specific niche for your your affiliate programs to join. Here are some examples of Affiliate Marketing Examples where you don’t need to have a blog to apply. Simply use the Pinterest link with implemented affiliate links. Nevertheless you can also implement them into your blog articles. Cricut has a 45-day cookie and pays a 12% commission. Erin Condren has a 30-day cookie and pays a 7% commission. Everyone is promoting planners because they are one of the top sellers on Pinterest. Craftsy is a lovely affiliate for crafts and DIY projects. Pretty Darn Cute Designs has a 30-day cookie and pays a 25% commission. Tailwind has a 90-day cookie and pays 50 cents per sign up for the free trial. Afterwards 15% if someone upgrades to paid version. (Cookies is a tracking method that gives you more time for the buyer to decide to buy the product. If he or she clicked on the link and landed on the website it can take “x” amount of days until the person decides to purchase the product or services and you will get commissions anyway. 4. It’s important to stay active on the Pinterest to be the first in line of the search engine results. 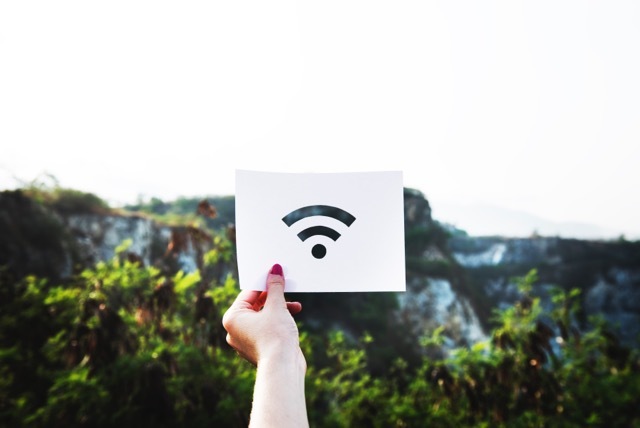 Nevertheless it’s impossible to spend the whole day in front of your laptop or PC so there is a great solution created by Pinterest, Tailwind. Try it out to organize and automate your pins, sign up and first 100 pins are for free. All Pinterest pros are using it at the moment. 5. Use high-quality images with titles and insert affiliate links in your pins. The secret of being successful on Pinterest is to create visually beautiful pins that are standing out from the others so it will make people want to click on them. You can take your own pictures, find some on the website of the merchant or some programs that offer downloading of pictures for free. 6. Create pins in the size of 600 x 900 but also find more niche specific group boards and join them. Repin their pins to get noticed by the others. There are also plenty of various Facebook groups where bloggers help each other with Pinterest pins. If you need a list of Facebook Pinterest groups just subscribe to my blog and write in the comments that you would like to have it and I will send it to you! Important to mention that you need to pin to the relevant board. Don’t expect to see your bank account getting filled with dollars immediately. It will take some time, let your pins with affiliate links circulate on the Pinterest network while others repin them. Good luck with your new pins and if you need some inspiration just check or follow my Pinterest page! Great post! I think I would also add to err on the side of caution for affiliate linking within Pinterest because a lot of popular affiliate companies (Amazon) are iffy about it (all the ones you’ve listed are great, by the way). I am so happy to stumble upon your post since I am planning to work on my Pinterest account. Did not realize the potential of affiliate marketing through Pinterest. Thank you so much for sharing. This is brilliant! As a student I am always look to earn a little on the side and since I’m never off Pinterest this sounds like the perfect solution! I had never even thought affiliate marketing was possible – thank you so much for shedding light on this!! Thanks for this! I never realized you could make money alone just from Pinterest, I always thought it had to be from your blog! Thanks for these tips. We are pretty new to Pinterest and look forward to any ideas that would help us make better. You post has been very helpful. Thank you so much for this very informative post. It sounds like I really need to focus a bit more on my Pinterest! We are terrible with Pinterest and this is so helpful ! Do you have any idea about the site mix ? I am slowly getting into Pinterest. I have started trying various tips and it seems to be working. Thanks for these extra tips for affiliate marketing. Thank you for the list of companies! I just joined Share A Sale but was not aware of all those great incentives. I honestly did not know about the business potential of pinterest yet! Thanks for all the detailed information. This post is really something worth bookmarking. I really need to start spending more time on Pinterest for my business and not just pinning for my own personal stuff. Great tips! Thanks for this article and it’s super helpful for me 😉 I always pin for myself, you know some kind of mood board, but I know that people actually make money there! Hhhhmmmmmm…I’m relatively new on Pinterest….I could definitely try this out, Kate! An extra buck never hurt nobody, did it? This is so handy, I hadn’t heard of share a sale before so I am signing up with them. It can be so hard to work out how this whole affiliate thing works so thank you for such a handy guide! As a blogger, I know precious little about affiliate marketing and more so when it comes to Pinterest. Thanks for the heads up. I have been neglecting this for far too long! Great ideas for a bloggers! I must say i am fairly new to Pinterest and I’m currently studying marketing so this post really sheds some light on some things I didn’t know so Thanks. have you tried to use beautiful pictures from Canva? And try to sign up for the affiliates that I have listed, they work pretty well! I’ve never tried making money in pinterest before. This is all new to me and it’s really nice to learn more about it. I think this post is really helpful for newbies like me! Thanks for the how-to! You have managed to get the Pinterest secrets down to a science! It seems like a business account is the way to go plus applying SEO tactics and creating beautiful pins. And then after we put the hard work in on our boards then we can begin asking for affiliate marketing opportunities. I didnt knew a thing about pinterest affiliate. Tthats new information for me . Thanks it will surely help me increase my income through affliate. Pinterest is definitely my favourite social media app, but somehow I never learned how to use it in my favor. thanks for the great tips though, I will include some of them, actually all of them. Thank you for this helpful information! I have been meaning to step up my Pinterest game and this will help immensely. It was nice read maby blogs about affiliate marketing that works. I will try this as well and choose the brands that would fit to my website. Pinterest is on fire, right?! I also use Pinterest for my blog traffic, but I have never thought about using it for affiliate marketing. Great idea, I will try it! I am recently learning about Pinterest, this article came in handy! I never knew that I can earn money without a blog! Thanks for the share and I am going to try now. I’m still learning more about monetizing my pins. Thanks for sharing this! This is great! I have yet to start monetizing but this is a great article to help newbies like myself! Very interesting post. Thank you for the detailed steps. Very helpful.. Thanks for this. I’m a Pinterest novice but have just started to monetise my blog and this looks worth investigating too … I’ll give it a go! This was so helpful. Great steps to move forward. I just started my own blog and will now look into Pinterest to help grow my blog. Happy to know that my article was helpful to you Melinda! Love the information you have shared. I am new and learning so much so I also pinned to come back and re-read. Thank you Kelley, hope my tips will help you as they helped me! Thank you for this guide. I have yet to explore monetization via Pinterest affiliate marketing. This is an awesome guide, thank you! Can’t believe how important SEO is to the contribution of your sales! Never would have thought before blogging that that was something that needed to be focused on the most. 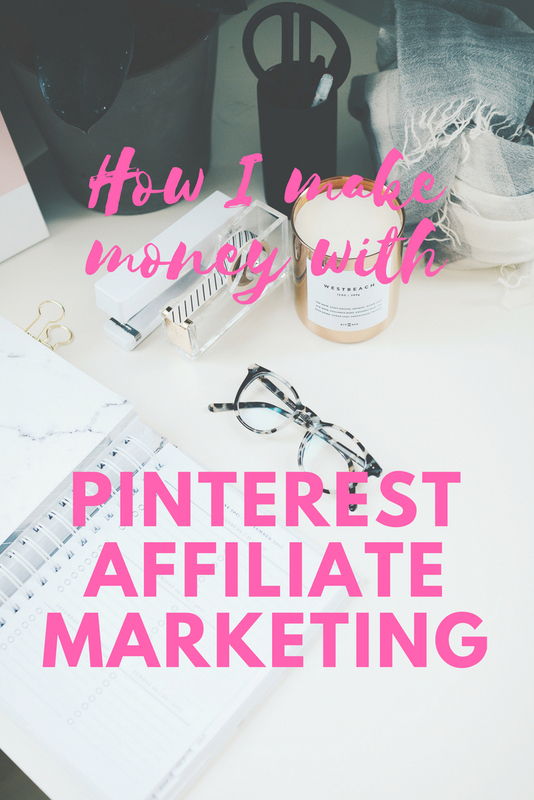 I’ve always been curious about how affiliate marketing on pinterest works and wow I didn’t realize how simple it was! Thank you so much for explaining! Hi, no I haven’t but I’m pretty sure we can find some info online! Some really great tips to boost my Pinterest presence! Will definitely refer back to this! Thanks so much for these helpful tips. I have shared this post on Pinterest. I wrote a frugal travel blog AND alo a storytelling ghost hunting one, and I want to start Pinning again for the haunted stories to share the locations. Do yo think these tip would work for that since it’s not a product to sell as much as a tour or destination? I think Pinterest can work for everything, your topic is so specific so it will definitely reach people who are interested in it. I’ve never really been able to CRACK pinterest in all honesty. It’s not really an avenue on the web I focus on. But I know it’s something I should. Maybe one day I will but for now, I’ve definitely got my hands full! Now this is something I want to learn! I love Pinning – may as well make it profitable! Such a great post! It’s always nice to have an extra income to save up for something else! I keep hearing great things about Tailwind, I’m going to have to check them out. Pinterest is a tough game, but it can be very rewarding, especially in the North American market. absolutely true. the affiliate program links you have mentioned in your blog are indeed the most effective ones for pinterest. Great tips. I’ve been having difficulties with Pinterest. This guide will definitely be helpful! What a great post! I will be sure to use all these great tips for my own Pinterest account. These are the tips that I needed and I thank you for them! I’m trying to get mine all together and I’m going to use this for reference! A must-read for new bloggers! Everything I hear about using pintrest for blog traffic is amazing. There’s so much money to be made on the platform. I will definately be using this as a resource when I get my Pintrest up and running. These are really helpful and very interesting. I love Pinterest so much! Thanks for this great info, i really needed this. I started working with Pinterest a few days ago and I’m beginning to see some results. I hope to start promoting products on Pinterest in the near future. Great post. Hi Kate, thanks for this guide! I really like that it was quick and straight to the point and I still feel like you covered a lot of information. Thank you for this post! I am interested in doing this and this is helpful! I am so lazy when it comes to Pinterest. This may be something I should look in to. Super helpful guide. Well sit down and go through this to help our blog grow. Thankyou for these useful tips for bloggers. your post is really informative. I have over 9,000 Pinterest followers and should take advantage of this platform more than I do. I have used Tailwind with a fair degree of success. I just need to take things to the next level. I’m a little scared to get started in pinterest for business. I know some people where it takes up most of their time just to try to get passive income, but i don’t think they do the sharesale stuff to your level, actually. I did just download tailwind to think about it further because another blogger said it really helps them, but who knows if i will follow through. It seems easy enough once you get started. I’m just hesitant to add another thing to the pile if it’s just going to be me on my couch hoping for the best! Great post! I have yet to discover the joys of marketing and doing social media with Pinterest. I am using Fb and Twitter the most right now but will add Pinterest by the new year. I pinned this for future references! Hi there – I will sign up now. And for what did you sign up? 😀 In sharesale you can always find new companies who have great ratings too! Pinterest is very very helpful in driving traffic and tailwind is the best. Il’ll have to check out the affiliates you use. Haven’t heard of them before. Thanks for sharing I’ve been trying to learn Pinterest I feel like Im soo late to the game but it seems so much more complicated than any other platform I’ve used. Thanks a lot for this very informative post. I’m still learning on how to maximize the use of Pinterest because I’ve heard that it’s one of the social media that bloggers have been using to gain more traffic on their blogs. Now I know we can make money through Pinterest and sounds really interesting.